After pulling the faulted firmware release 1.65 OFW, Sony has release an update, Vita 1.65 OFW. Vita firmware 1.66 fixes the bug that disabled the adhoc play in several games after installing the previous firmware release as well as the bug that prevented PlayStation Plus members from playing Minis. 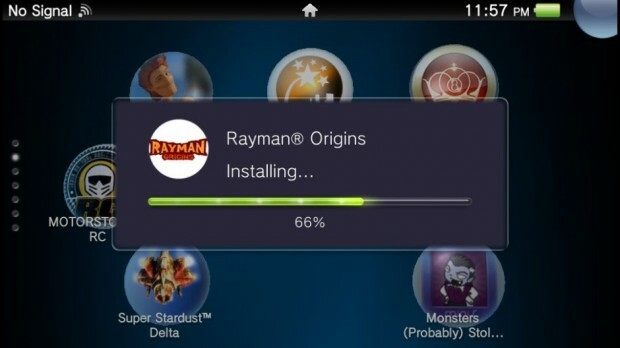 An arrow icon is introduced to show when PS Vita finds new activities in LiveArea. The Caps Lock icon in the On-Screen Keyboard can now be fixed to allow a continuous string of upper case text. The [System Music] setting in Settings > [Sound & Display] now affects BGM in PS Store, near and Sign-Up screens as well as the Home menu. When searching for location data, users now have the option to ‘Retry’ and ‘Cancel’ when a failure occurs. A progress bar is introduced for application installation. A direct link to PlayStation Store is made available for new applications that users may discover on near. Users can now update data at any time within near, provided they are within the same location. The display time of notification alerts has been reduced from 5 seconds to 3 seconds. Functional improvements have been made in the following games and applications: Unit 13, Gravity Daze, near.